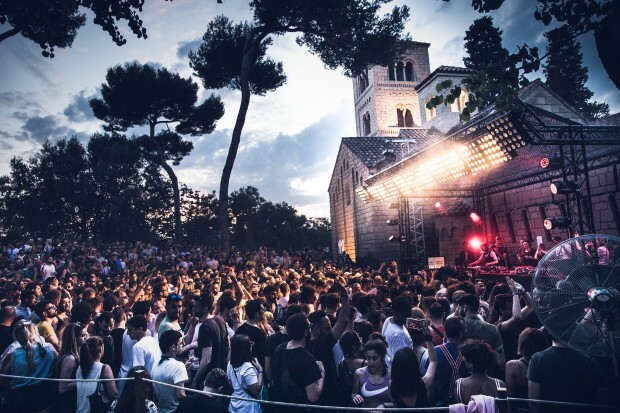 Offering an homage to house and techno music, Detroit Love join forces with Rush Hour to bring electrifying party vibes to Poble Espanyol’s beautiful El Monasterio and Capra & Picnic arenas on Friday 19th July. 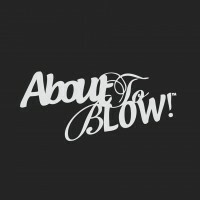 With label head Carl Craig leading the charge for b, he’s enlisted a roster of the city’s finest to join him. Amelie Lens‘ Exhale series has been making waves for some time and for good reason. Now established as one of dance music’s main players, Lens brings a swath of euphoric floor fillers to Poble Espanyol alongside fellow compatriot and techno master Farrago, with Elixyr boss Airod and exciting rising talent Milo Spykers completing the bill. The new events add considerable weight to the series which previously announced Innervisions Barcelona, a programme that features the likes of Âme b2b Dixon, KiNK (Live) b2b Frank Wiedmann (Âme Live), Avalon Emerson, Courtesy, Gerd Janson, Haai, John Talabot, Marcel Dettmann, Marcus Worgull, Or:La and SRDV (Live) - Radio Slave and Patrick Mason, and the epic OFFSónar Closing Party with Carl Cox, Dubfire, Lil Louis, Nastia and Brina Knauss. Taking place within one of the world’s stunning cities, OFFSónar 2019 offers something truly special, fusing cutting-edge sounds and unparalleled party vibes within Poble Espanyol’s complex of stunning and unique, open-air arenas. 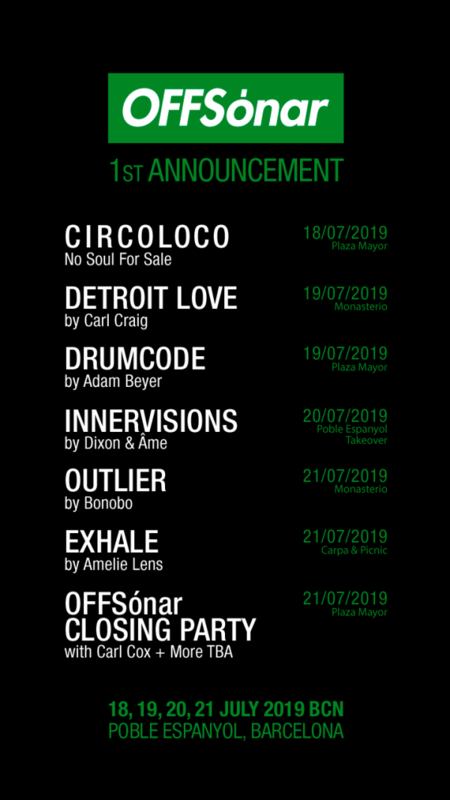 Lineups for Circoloco, Adam Beyer Presents Drumcode and WooMooN will also be revealed soon.